Indian Air Force for IPEV Road Drive Education Loan (www.vidyalakshmi.co.in) Alumni Association Registration Admissions open for MBA, BBA, BCom (Hons), BCA, BEd for Session 2019-20. 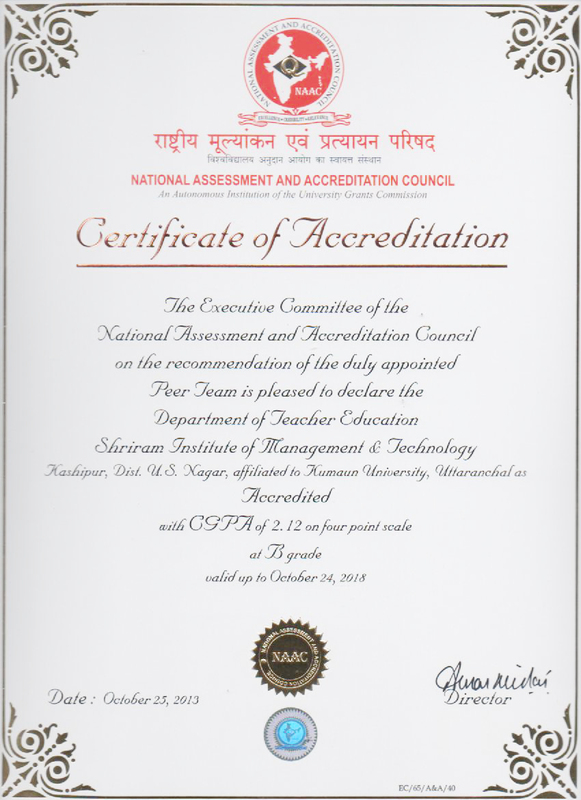 Approved by AICTE & NCTE, Affiliated to Kumaun University, Nainital & Uttrakhand Technical University(UTU), Dehradun, Approved by Govt. of Uttarakhand, Accredited 'B' (Good) (Edu) by NAAC. 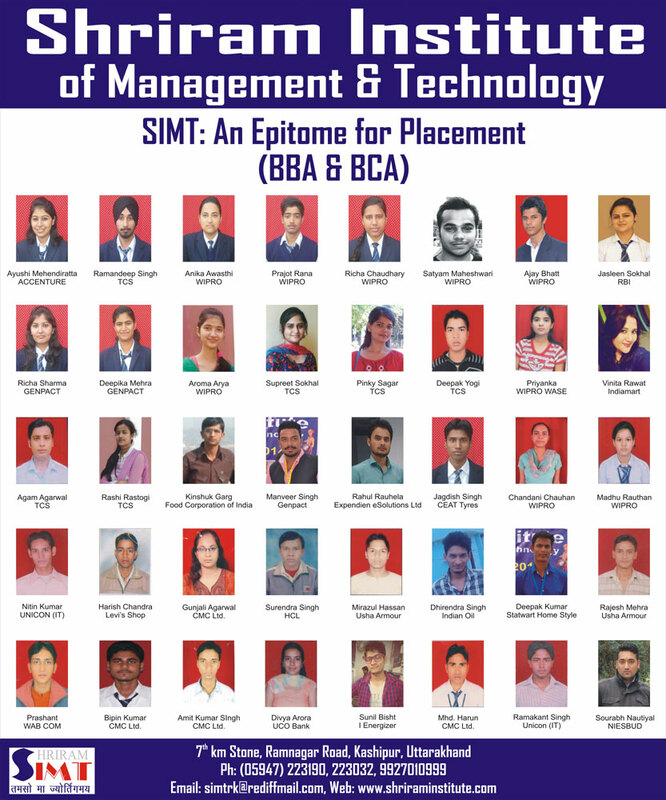 The institute has been setup with a vision by Mr. Ravindra Kumar, President & MD of SIMT. He is BE(IIT Roorkee), GMIIIE, FIE, LMIIM and Ex Joint director of SAIL. The vice president of college is Mr. Brijesh Kumar. He is also chairman of Templeton College, Kashipur, affiliated to CBSE, one of the leading school in this region. 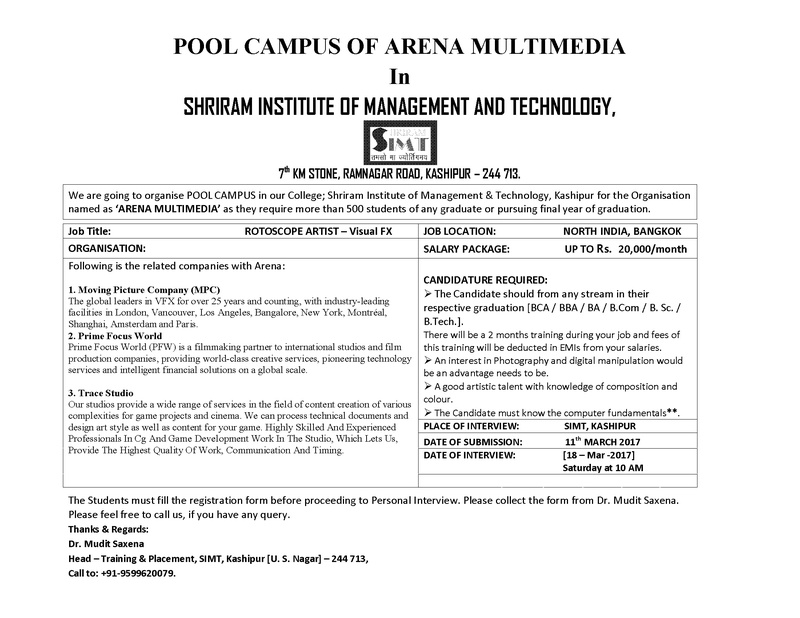 The Institute is spread over 23000 sq.m. (6 Acres) land in pollution free lush green environment with eye catching hill view. The campus is full of beautiful lawns and landscape and has gorgeous building. The Institute has a large library, state of art ComputerCentre, core faculty and desirable infrastructure. The Institute also provides transport facility from Ramnagar, Kashipur, Bazpur, Thakurdwara and Jaspur at reasonable charges. 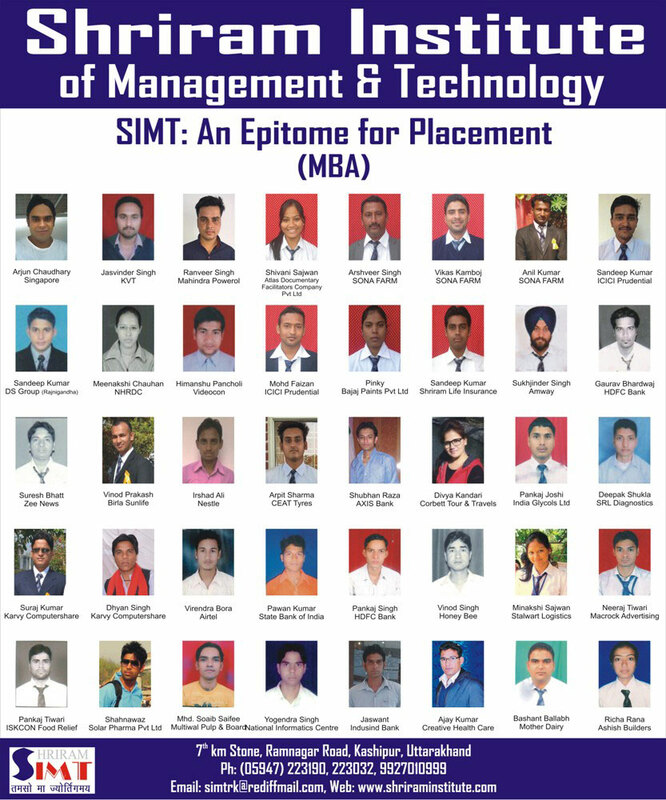 SIMT is located in the picturesque foothills of Kumaun/Nainital region. It is located at 7 km stone on Kashipur-Ramnagar Road. Kashipur, an ancient city itself, (Map) is only 80 km from Nainital, 180 km from Haridwar, 230 km from Delhi. It is 32 km from Bazpur, 23 km from Jaspur, 20 km from Thakurdwara, 20 km from Ramnagar and 58 km from Moradabad. Kashipur is well connected by train with Moradabad, Bazpur, Haldwani, Delhi and other stations. By road Kashipur is well connected by National Highways. Both private and Uttarakhand transport buses run from all important places.